Elm Tree Farm has proudly played a part in this year’s world-renowned RHS Chelsea Flower Show. They were approached by, and teamed up with, organisers behind a new product called The Willow Wand – a beautiful mini tree made of living willow and a piece of ‘living art’, which is part of the pilot stage of the Willow for Wellbeing project. Conceived as a UK-based, industry-wide collaboration supported by the Horticultural Trades Association (HTA), the scheme showcases the range of expertise across the commercial and Social and Therapeutic Horticulture (STH) sectors. 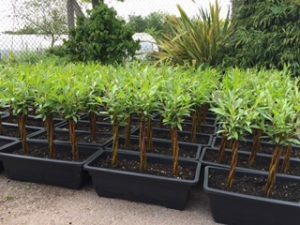 The Farm nursery team which includes Andrew Denning, Rich Wyatt, and Lewis Clapp, grew a number of bonsai willow troughs, which went to the Chelsea event. 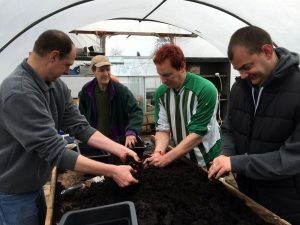 After receiving some hands-on training, they brought on 100 troughs, which included potting up, pricking out the side shoots, and lots of watering, until they were ready to be picked up last week ready for the London gardening show. 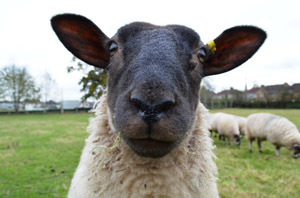 Elm Tree Farm Project Coordinator Keily Elvin said: “Andrew Denning, who we support at the Farm, was in the ‘dream team’ group that worked on the project and said that it was hard at times, but he really enjoyed it and thought they were really nice. All the guys were happy to hear they were going off to be sold at a flower show, which they should be very proud of. The Willow Wand featured in five show gardens at this year’s Chelsea Flower Show. Championed by the celebrated garden writer and TV presenter Peter Seabrook, and organised by the Horticultural Trades Association, a different Willow Wand® was included in each of their four ‘Sun Flower Square’ show gardens. In the ‘Health, Happiness and Healing Gardens’ area of Chelsea, it formed a graceful hedge at the centre of Jekka McVicar’s ‘Modern Apothecary’ show garden.